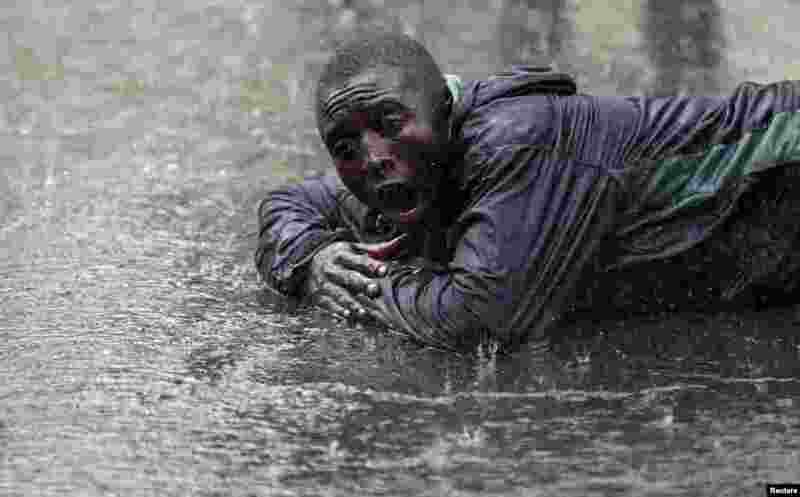 5 A supporter of Kenya's Prime Minister Raila Odinga, the defeated presidential candidate of the Coalition for Reforms and Democracy, reacts after the Supreme Court ruling in the capital Nairobi. 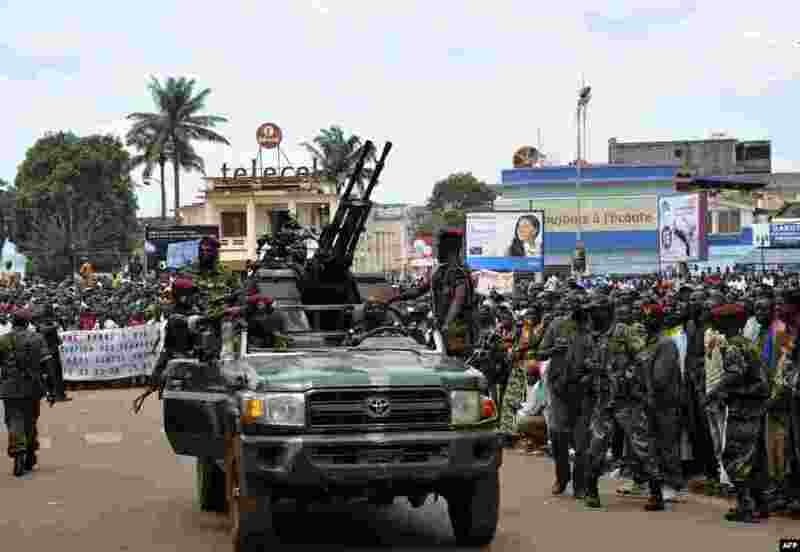 6 Rebel Seleka coalition soldiers arrive in Bangui. The Central African Republic's new strongman Michel Djotodia vowed not to contest 2016 polls and hand over power at the end of the three-year transition he declared after his coup a week ago. 7 A first aid worker stands on a car at the site of a pileup on the A9 motorway near Chexbres, Switzerland. 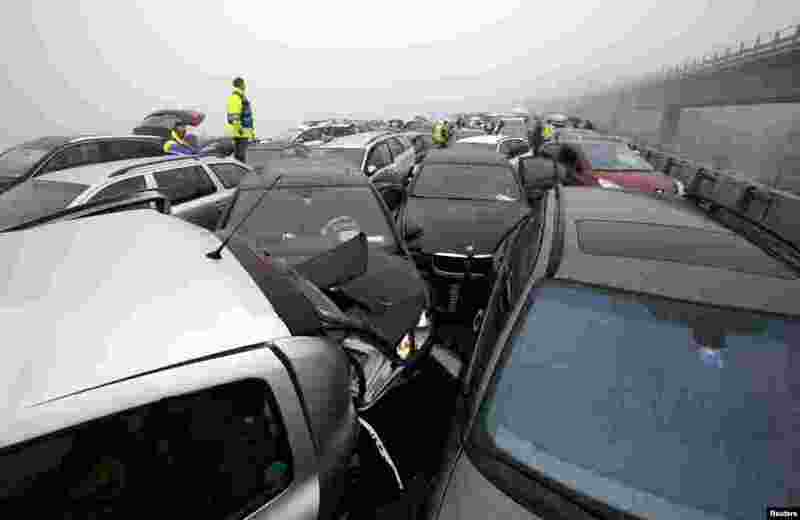 About 50 cars were involved in the pileup but no one was seriously injured, according to local media. 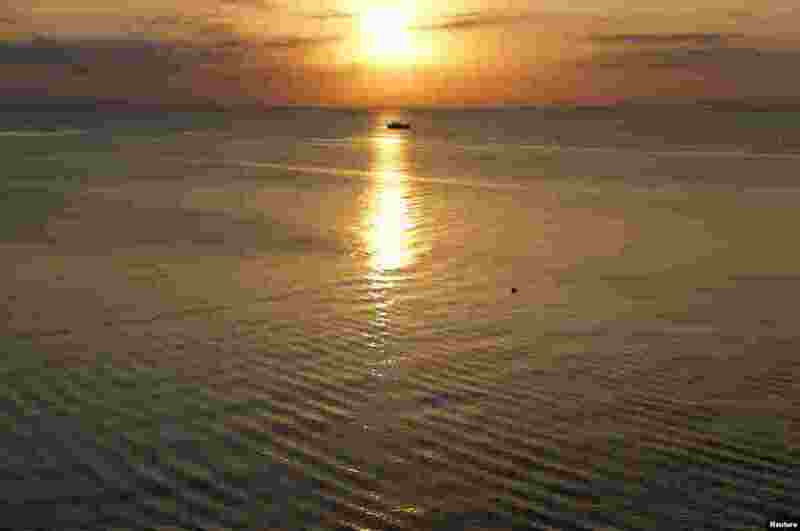 8 A boat sails at dawn near a beach in Livingston, 350 km (217 miles) northeast of Guatemala City, Guatemala.